Experience the joy of mobility independence in a handicap van from AMS Vans! Our online purchase program sells wheelchair vans direct to our customers with optional home delivery to Huntsville, Alabama. By working with a mobility consultant via phone and email, you can stay at home and let us do all the work! Once the sale is complete, we can bring your new or used wheelchair van direct to you in the Huntsville, AL area, including Madison, Athens, and New Hope, in as little as 24 hours! Our prompt delivery service can have your wheelchair van in your driveway the day after the completion of the sale. 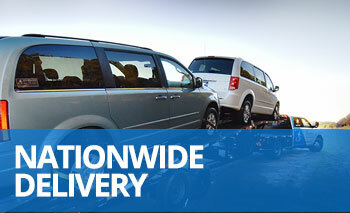 We'll haul your handicap van by trailer from our facility to your home or office in Huntsville, Alabama. We are located in beautiful Atlanta, GA and invite you to come to us to pick up your handicap van and drive it home yourself. Atlanta features many attractions to explore in your wheelchair van. Customers from the Huntsville, AL area may qualify for a pick-up discount off the purchase price of the van! Instead of just leaving you with instruction manuals and a set of keys, our mobility professional will take advantage of the opportunity to get you acquainted with your handicap van at the time of delivery. As part of this "White Glove Service", we will demonstrate all the factory-installed and accessible equipment on your van, give you valuable safety and maintenance information, and answer any questions you may have. Every wheelchair van from AMS Vans is fully backed by our satisfaction guarantee at the time of delivery. 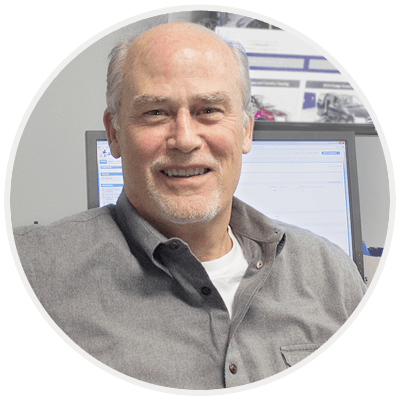 If you are not totally happy with your purchase when we deliver your vehicle, we will take it back to our facility, terminate the sale, and process a refund for you without high-pressure sales. If you would rather have an unbiased opinion before making your final decision, we will be happy to meet you at any mechanic in the Huntsville, Alabama area and wait with you while an inspection is completed. Share your experience with AMS Vans and make money by referring your friends and family. Our Customer Referral Program gives you a cash bonus for every customer who mentions your name while purchasing a handicap van from AMS Vans. Tell your personal story of our impeccable customer care or invite them to read some of our hundreds of customer testimonials featured on our website. Call 800-775-VANS (8267) to speak with a mobility consultant now to learn more about our wheelchair van conversions to determine which would suit your needs best. Taking your favorite conversion and your other accessible needs into account, we will suggest several handicap vans for your consideration. Once you pick a favorite, you'll stay at home with your everyday activitiess, and we'll handle all the paperwork. As quickly as the day after the completion of the sale, your new wheelchair van could be pulling up in your driveway! As one of the top modified transportation dealers in the nation, it's likely that you've already seen a wheelchair van that was delivered to Huntsville, AL by us, and we look forward to coming back with your handicap van in tow!